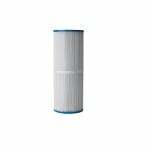 Sonfarrel carries excellent pool and spa water filtration products to suit your needs. Sonfarrel carries excellent pool and spa water filtration products to suit your needs. Filters compatible with those from Sonfarrel, along with many other brands, are available for our customers through the Filters Fast website. 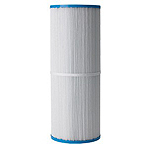 The Filbur FC-1613 compatible replaces the Sonfarrel 220042 and features anti-microbial properties which prevent foul odors, algae, black mold and other harmful contaminants from growing on the filter that can result in a lose of filtration. The Filbur FC-1613 compatible replaces the Sonfarrel 220035 and features anti-microbial properties which prevent foul odors, algae, black mold and other harmful contaminants from growing on the filter that can result in lost filtration. The Filbur FC-1615 compatible replaces the Sonfarrel 220128 and features anti-microbial properties which prevent foul odors, algae, black mold and other harmful contaminants from growing on the filter that can result in a lose of filtration.